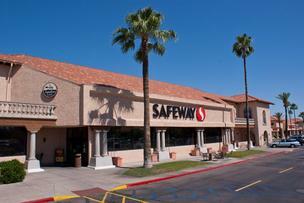 Turf Paradise owner Jerry Simms has forked over $44.5 million for a large Safeway- and CVS-anchored retail center in the heart of Scottsdale, according to a statement today from the Phoenix office of Cassidy Turley. The Shea Scottsdale retail center is situated at the northeast corner of Shea Boulevard and Scottsdale Road, one of the busiest intersections in the area. The transaction included all freestanding structures, including Wells Fargo and MidFirst Bank branches, Jason’s Deli, Arby’s and McDonald’s, which is located on the same slab that once housed Devil’s Martini. It was only 5 percent vacant at the time of sale, while similar neighborhood retail centers in Scottsdale posted an average vacancy rate of 12.4 percent during the fourth quarter, according to Cassidy Turley research. 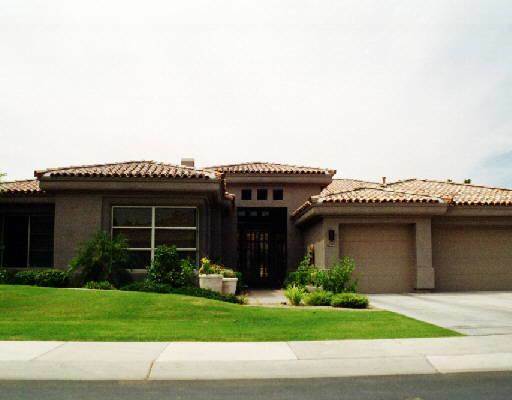 The sale, which closed escrow Wednesday, was the result of an unsolicited offer by Simms, said Michael Hackett, an executive managing director of Cassidy Turley who helped represent the seller. “He approached us with a 1031 Exchange from the sale of property he had in Beverly Hills,” Hackett told me. Los Angeles-based Karlin Real Estate, the seller, purchased the property in October 2011 along with the neighboring retail center to the east, dubbed Shea Scottsdale East, which is anchored by the Harkins Shea 14 movie theater and includes Pita Jungle and the infamous Amy’s Baking Co. Karlin paid $50.32 million total for the two properties, which were a combined 277,253 square feet. Simms actually wanted to buy both retail centers, but the numbers penciled out better to only buy one, at least for now, Hackett said. So Karlin is still the owner of Shea Scottsdale East, which Simms may buy sometime down the road.